Volkswagen Caddy - 2004>2015. Volkswagen Camper - 2004>2015. Volkswagen Golf - 2004>2014. Volkswagen Golf - 2005>2009. Volkswagen Passat - 2008>2015. Volkswagen Polo - 2002>2010. Volkswagen Tiguan - 2008>2018. Citroen C3 Mk 1 | Hatchback | 2002-2009 | Blade Size: 350mm 14". Rear Windscreen Wiper Arm & Blade. Any models shown in the application table are just a guide. Volvo XC90 Mk 1 | SUV | 2002 onwards | Blade Size: 380mm 15". Rear Windscreen Wiper Arm & Blade. Any models shown in the application table are just a guide. Peugeot 307 | Hatchback | 2001-2008 | Blade Size: 350mm 14" | 3/5 Door. Rear Windscreen Wiper Arm & Blade. Any models shown in the application table are just a guide. Blade Size: 16" / 405mm. Vauxhall Zafira MK I / 1999 - / 2005 LPG: 1.6 MPV. Opel Zafira A / 1999 - / 2005 Diesel: 2.0 Di, 2.0 DTI, 2.2 DTI MPV. Vauxhall Zafira MK I / 2000 - / 2005 1.8 MPV. Opel Zafira A / 2001 - / 2005 Gas: 1.6 MPV. Ford KA Mk 1 | Hatchback | 1996-2008 | Blade Size: 400mm 16" | 3 Door. Rear Windscreen Wiper Arm & Blade. All of our products are sourced directly from our range of approved factories. All of our parts are subject to quality testing and are ISO TS16949 certified, we also search to make sure that our approved manufacturers use the latest technologies and materials available. Rear Windscreen Wiper Arm & Blade. Any models shown in the application table are just a guide. Front Wiper Blades Exact Fit (2). 100% Natural Rubber. Tigra B (93-02). Vauxhall / Opel. Corsa B (93-00). Combo B (93-01). Front Windscreen Wiper Arm. FRONT LEFT SIDE . This will fit the following vehicles:-. Part Number - 983801H000. Kia Ceed 2006 - 2011. 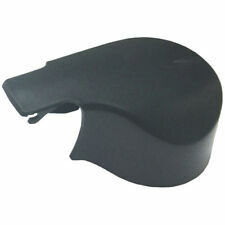 New Genuine Kia Windscreen Wiper Arm Nut Cover Cap. (1 Single Cap Only). We're rated 5/5 for service! We're here to help whenever you need us. New arrivals. Rear Windscreen Wiper Arm & Blade. Saab 9-5 | Estate | 1997-2010 | Blade Size: 350mm 14". Any models shown in the application table are just a guide. Part Number - 90347857. Zafira B 2005-2015. Signum 2003-2008. Vectra B 1996-2002. Vectra C 2002-2008. Genuine Vauxhall Wiper Arm Nut Cover Cap. Set Of 2 . We're rated 5/5 for service! Fiat Punto Mk2 | Hatchback (3 / 5 Door) | 1999-2007 | Blade Size: 14"/360mm. Rear Windscreen Wiper Arm & Blade. Any models shown in the application table are just a guide. This sale is for TWO wiper arms & TWO wiper blades. These arms are to fit right hand drive models to park on the left. We are Minimine Ltd, from Stoke-on-Trent, we have been trading in Mini parts and accessories since the early 1990's. 2002 - 2009 Range Rover L322 Headlight Near Side Wiper Arm And Blade. We willALWAYS resolve your issue but would ask that you call us in order to do so. We are a bonefide 'End Of Life' Vehicle Dismantlers situated in East Devon. Peugeot 308 | Hatchback | 2007 onwards | Blade Size: 305mm 12" | 3/5 Door. Rear Windscreen Wiper Arm & Blade. All of our products are sourced directly from our range of approved factories. All of our parts are subject to quality testing and are ISO TS16949 certified, we also search to make sure that our approved manufacturers use the latest technologies and materials available. Brand new Volvo Headlight Wiper Arms to fit: Volvo 850 Series up to 1997. Honda Jazz Mk 2 | Hatchback | 2007 onwards | Blade Size: 350mm 14". Honda Fit Mk 2 | Hatchback | 2007 onwards | Blade Size: 350mm 14". Rear Windscreen Wiper Arm & Blade. Part Number - DKB101480 & GWB911. Classic Mini Wiper Arms & 11" Genuine Unipart Blades PAIR Hook Type RHD. This sale is for TWO wiper arms and TWO wiper blades. But will fit most models from 1970 onwards. 2002 - 2009 Range Rover L322 Headlight Off Side Wiper Arm And Blade. We willALWAYS resolve your issue but would ask that you call us in order to do so. We are a bonefide 'End Of Life' Vehicle Dismantlers situated in East Devon. 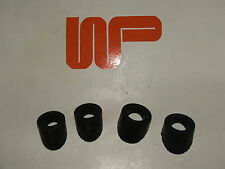 Classic Mini Windscreen Wiper Wheel Box Rubber Bezel Set.4 Bezels. Part Number: 37H7200K. Fits A4 from 2001-2008. Cardiff Audi. 1x left arm blade. 1 x right arm blade. Part number for reference only; prc4276. 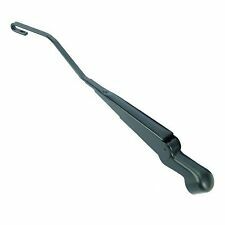 Land Rover Defender Windscreen Wiper Arms (Hook Type). Suitable for ALL Land Rover Defender 90 / 110 / 130 vehicles from 1983 to 2001. 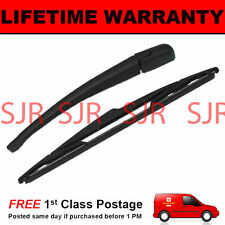 Rear Windscreen Wiper Arm & BladeVolkswagen Polo MK4 9N 9N3 Hatchback 2002-2009. Model: Volkswagen Polo MK4 9N 9N3 Hatchback 2002-2009. Body Type: Hatchback. Blade Size: 12"/305mm. All of our productsconform to ISO testing standards. Model: Various Renault Espace Mk4 | MPV | 2003-2014 | Blade Size: 14"/350mm. Rear Windscreen Wiper Arm & Blade. The warranty does not cover the rubber blade insert which are easily replaced when worn. FITS ONLY IN RHD (RIGHT HAND DRIVE) CARS. FITS ONLY IN RHD CARS. VW LT II (1996-2006). 1 FRONT LEFT (PASSENGER SIDE) WIPER ARM. › Watch Item ‹. colour: black. Part Number: DKC100960. 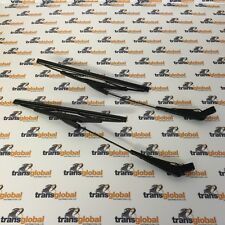 Land Rover Discovery 2 New Front Wiper Blades (x2). Land Rover Discovery 2, (All Models 1998-2004). 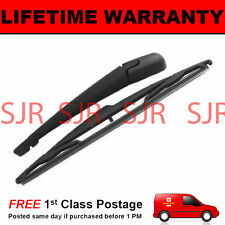 Discovery 2 Front Wiper Blades. Land Rover Parts. Discovery Parts. Series 2 & 3 - Defender 90/110/130, Discovery 1,2,3,4,5 & Sport - Freelander 1 & 2 - Range Rover Classic, P38, L322, L405, Sport & Evoque. Peugeot 807 | MPV | 2002 onwards | Blade Size: 350mm 14". 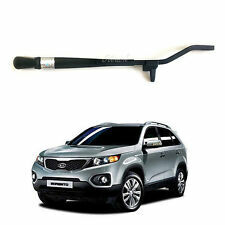 Rear Windscreen Wiper Arm & Blade. Any models shown in the application table are just a guide. Rear Windscreen Wiper Arm & Blade. Ford S-Max | MPV | 2006- | Blade Size: 13"/330mm. Labour claims are never accepted. Rear Windscreen Wiper Arm & Blade. 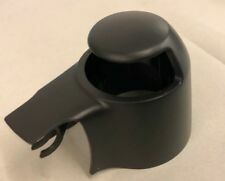 GENUINE AUDI VW SKODA SEAT WIPER NUT COVER CAP - 1J0955205A 9B9. OEM: 1J0955205A 9B9. Variant: mk 1. Ford focus pair of front wiper arms covers missing as pictured. For all focus 1998 to 2004. Model: focus. Seat Ibiza | 2006-2012. OEM Quality rear wiper arm nut cover to replace the lost or broken original. At AMS we know how difficult buying car parts can be, but we do everything we can to make it as easy as possible. Model: Nissan Micra MK3 (K12) Hatchback 2002-2010. Body Type: Hatchback. Blade Size: 12"/305mm. All of our productsconform to ISO testing standards. 2000S 3000S 2.8i SPECIAL JPR TICKFORD etc. CAPRI MK2 & MK3. 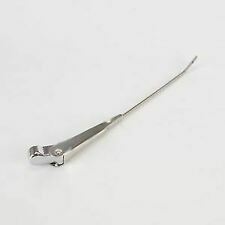 For Trico type wiper arm only. 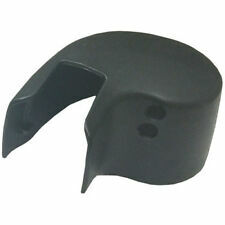 WIPER ARM NUT PROTECTIVE CAP. Ford Part No. 76BG T04178 AA. One and one only available! New mint condition. Super rare new. Compatible with Scenic II 2003-2009 and Grand Scenic II 2004-2009. 2x Stainless steel washer. Set includes. Nissan Qashqai J10, JJ10 / 2007 - / 2013 Diesel: 1.5 dCi, 1.6 dCi, 2.0 dCi SUV. Nissan Qashqai J10, JJ10 / 2007 - / 2013 Petrol: 1.6, 2.0 SUV. Nissan Qashqai MK II / 2013 - / 2016 Diesel: 1.5 dCi, 1.6 dCi SUV. Fiat Tempra (1989-1993). Fiat Tipo (1993-1995). Suitable for Right hand drive versions only. Force Majeure. Part number for reference only; stc987. Land Rover Defender 90 / 110 / 130 Wiper Arm Spindle x 2. All Early Land Rover Defender 90 / 110 / 130 vehicles upto Face Lift Dash. Suitable for All Land Rover Series 3 vehicles upto 1982. New Genuine Audi Q7 passenger side front wiper arm. Fits all Q7 models from 2007-2015. Cardiff Audi.